I hope you've enjoyed today's update. Please send us any comments or questions you might have. We love hearing from you! 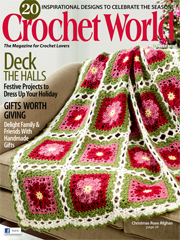 Please share photos of your projects with us on Ravelry or Facebook. We enjoy seeing what you are working on! 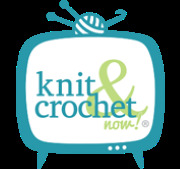 Brenda Bourg is a freelance crochet and knitwear designer who lives in Colorado with her very supportive husband, two cats and dog. Brenda tries to keep her studio closed to her fur babies, but they are very persistent. Thankfully, her husband is not. He would be shocked at the size of her yarn stash. She also spins yarn and dreams of learning to weave one day. Her work has been published in numerous magazines and yarn companies. Brenda's indie patterns can be found on Craftsy, Knit Picks and Ravelry. You can also find her on www.brendabourg.blogspot.com. Fill out my easy feedback form and let me know your thoughts, questions, news or anything else you want to tell me about. 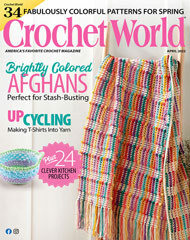 You never know, I may feature it in an upcoming issue of Talking Crochet update. Keep reading!